Small dogs require a little more attention and some different care techniques than some larger breeds. 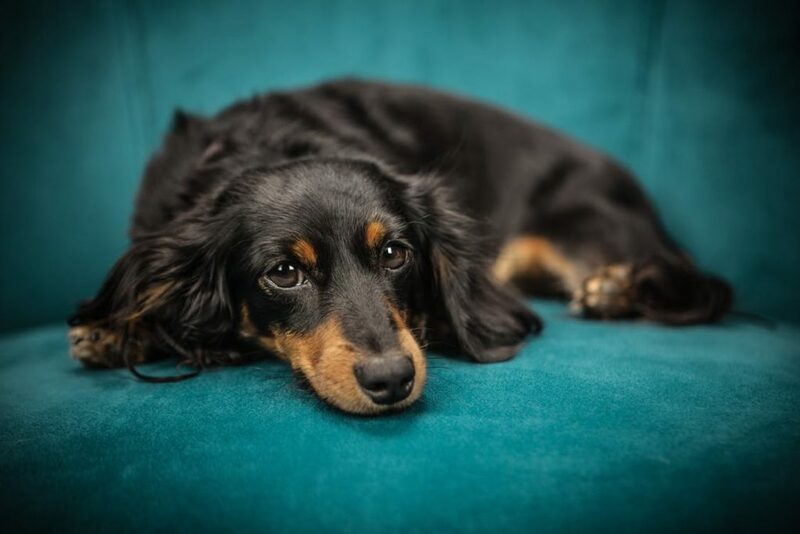 Be aware of what they can and cannot eat, special attention to exercise is important for small dogs, and watching for health issues in your little partner is very important. The following tips will help your small dog to have a long, healthy and happy life. Smaller dogs are cute and can be a lot of fun to play with and care for. Dachshund puppies are some of the most fun pets to have. A puppy from a smaller breed needs to be fed about three to four times a day with a calorie rich food. If you are not sure which brand to feed your new puppy, call and ask your veterinarian (the puppy’s breeder is a good resource too.) The reason behind your need to feed them this way, is their fast metabolism. When they are adults, they will need to be fed more calories per pound than larger dogs because of how their metabolism works. If your dog is not getting enough calories, they can develop hypoglycemia (a drop in blood sugar.) Toy breed puppies that are 6-12 weeks old, can develop this potentially fatal condition. This is why proper nutrition for small dogs are so important. Dog food that contains antioxidants (zinc, lycopene, beta-carotene, and vitamins,) will help your dog lives healthier as they grow older. It is especially important to feed small breeds food with antioxidants because they live longer than bigger dogs. Anyone who is going to be around your dog needs to know what foods should not be fed to them. Chocolate, coffee, grapes, and mushrooms can make your dog sick. Excessive barking or chewing on anything and everything in your home is two indications that your dog is bored and probably needs more activity. Small breed dogs can have higher energy levels than some larger dogs. The first thing you should do when you get home from work or school is to play with and walk your dog. Some small dogs are not built well for long walks, so playing with another dog or playing a game of fetch is a better exercise for them. Make sure you get all recommended vaccinations for your small dog when recommended by the vet. Heartworm prevention is something you should talk over with the health professionals at your vet’s office. They should also give you guidelines about the breed you own and what kind of health problems that breed may develop. Here are some other health tips to think about when caring for your small breed puppy. Watch the temperature. A small dog will not do well when they get overheated, and extreme cold will drop the temperature of their small bodies. It may be hard to believe, but these conditions can be fatal to your little pup. Do not let their weight become a problem. If your small dog is carrying extra weight around, this puts stress on their joints and back. Overweight can cause a dog pain. Joint pain problems are common in small dogs (even ones that are not overweight.) Your dog needs to rest and recover if it is hopping, limping, or having a hard time getting up when they are laying down. If these symptoms do not improve with rest, then the vet may need to help your dog with anti-inflammatory pain medicine. Ask your veterinarian about supplementing your dog’s diet with glucosamine and chondroitin. These two supplements work to lubricate your animal’s joints. Other health issues you should think about include air quality and breeding your small dog. Keeping your dog away from dust and smoke, protects its lungs. A disease (tracheal collapse,) causes the trachea to flatten and makes it hard for your small dog to breathe, may occur in these conditions. If you want to breed your small dog, or it becomes pregnant, ask your vet about birthing assistance. It is not easy for a small dog to give birth.